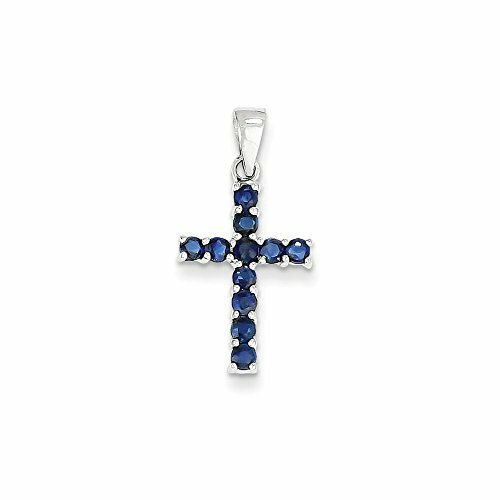 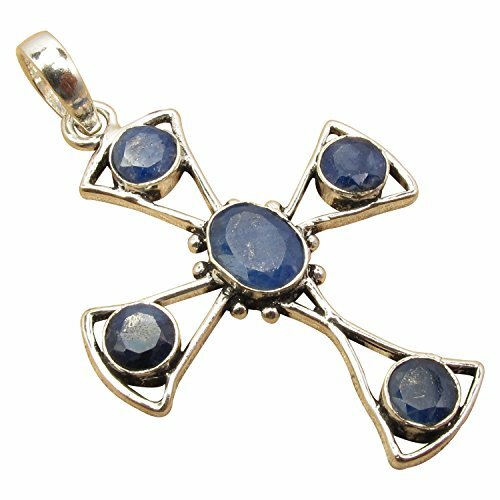 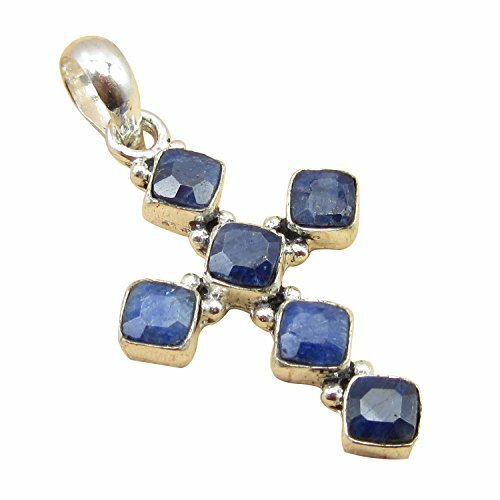 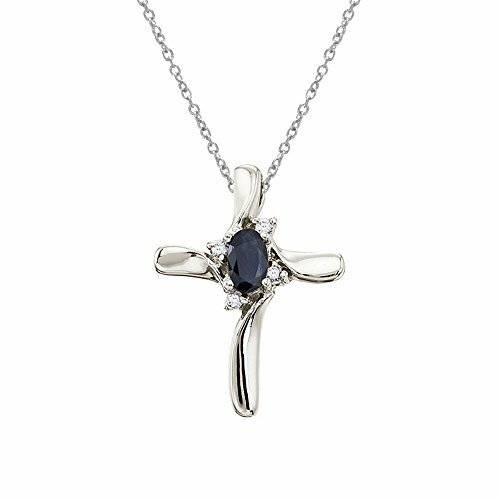 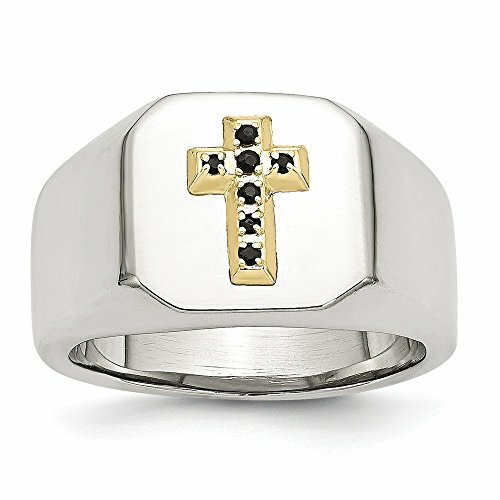 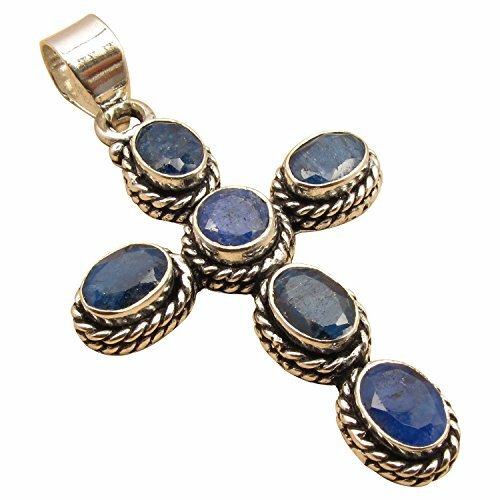 This diamond cross adds a dash of color to a traditional and elegent style with a bright 5x3 mm sapphire. 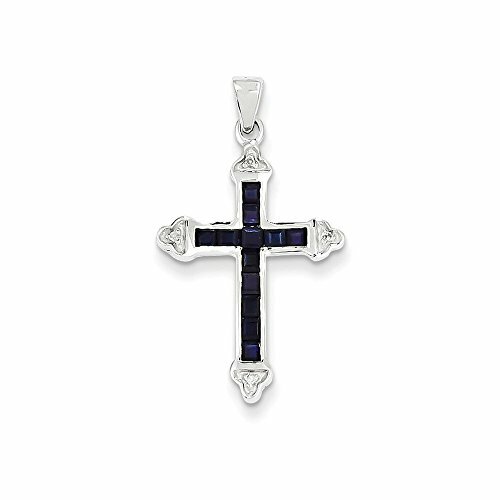 The beautiful pendant is set in 14k white gold with .04 total ct diamonds. 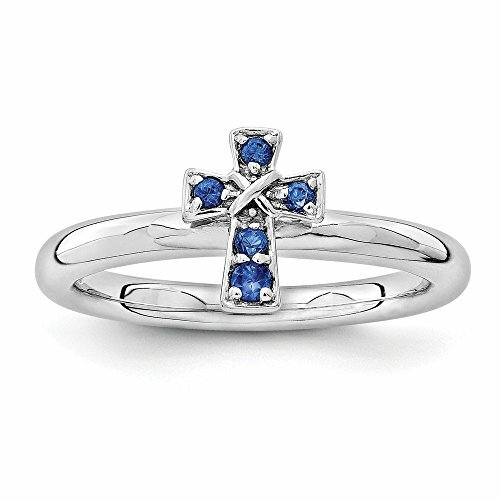 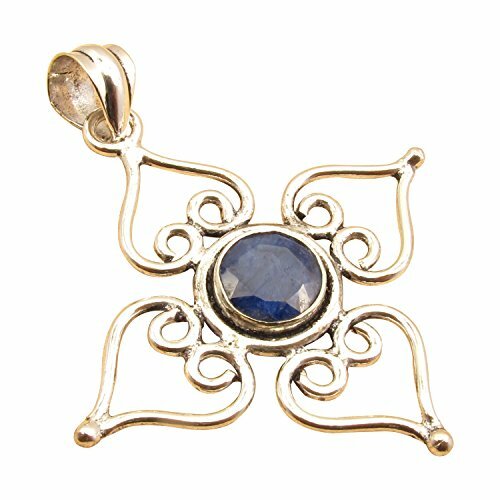 Antique sapphire and diamond three stone cross over engagement ring, circa 1905.